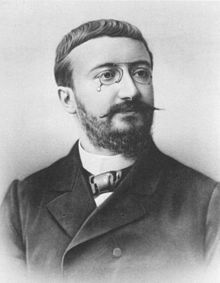 Alfred Binet (July 8, 1857 – October 18, 1911) was a French psychologist who invented the first practical intelligence test, the Binet-Simon scale, along with his collaborator Théodore Simon. It is necessary to protect oneself from over exaggeration; one must not suppose that there exists, even in the realm of partial memory, an absolutely pure auditory type; real life does not make such schemas... In reality, when one says that a person belongs to the auditory type... one wants to say simply that with regard to that person the auditory memory is preponderant. 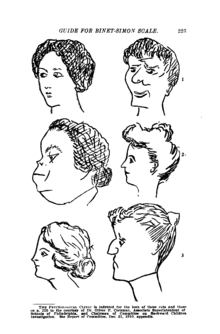 It seems to me that people of talent and of genius serve better than average examples for making us understand the laws of character, because they present more extreme traits. Since we seek to know what is the physical phenomenon we perceive, we must first enunciate this proposition, which will govern the whole of our discussion: to wit— Of the outer world we know nothing except our sensations. This observation might be repeated with regard to all objects of the outer world which enter into relation with us. Whether the knowledge of them be of the common-place or of a scientific order matters little. Sensation is its limit, and all objects are known to us by the sensations they produce in us, and are known to us solely in this manner. A landscape is nothing but a cluster of sensations. The outward form of a body is simply sensation; and the innermost and most delicate material structure, the last visible elements of a cell, for example, are all, in so far as we observe them with the microscope, nothing but sensation. I believe it has required a long series of accepted observations for us to have arrived at this idea, now so natural in appearance, that the modifications produced within our nervous system are the only states of which we can have a direct consciousness; and as experimental demonstration is always limited, there can be no absolute certainty that things never happen otherwise, that we never go outside ourselves, and that neither our consciousness nor our nervous influx can exteriorise itself, shoot beyond our material organs, and travel afar in pursuit of objects in order to know or to modify them. When we attempt to understand the inmost nature of the outer world, we stand before it as before absolute darkness. There probably exists in nature, outside of ourselves, neither colour, odour, force, resistance, space, nor anything that we know as sensation. Light is produced by the excitement of the optic nerve, and it shines only in our brain; as to the excitement itself, there is nothing to prove that it is luminous; outside of us is profound darkness, or even worse, since darkness is the correlation of light. In the same way, all the sonorous excitements which assail us, the creakings of machines, the sounds of nature, the words and cries of our fellows are produced by excitements of our acoustic nerve; it is in our brain that noise is produced, outside there reigns a dead silence. The same may be said of all our other senses. ...In short, our nervous system, which enables us to communicate with objects, prevents us, on the other hand, from knowing their nature. It is an organ of relation with the outer world; it is also, for us, a cause of isolation. We never go outside ourselves. We are walled in. And all we can say of matter and of the outer world is, that it is revealed to us solely by the sensations it affords us, that it is the unknown cause of our sensations, the inaccessible excitant of our organs of the senses, and that the ideas we are able to form as to the nature and the properties of that excitant, are necessarily derived from our sensations, and are subjective to the same degree as those sensations themselves. The world is but an assembly of present, past, and possible sensations; the affair of science is to analyze and co-ordinate them by separating their accidental from their constant relations. We are, for the rest, so wrapped up in sensations that none of our boldest conceptions can break through the circle. The mechanical conception of the universe is nothing but naïve realism. By following up this idea, also, we might go a little further. We might arrive at the conviction that our present science is human, petty, and contingent; that it is closely linked with the structure of our sensory organs; that this structure results from the evolution which fashioned these organs; that this evolution has been an accident of history; that in the future it may be different; and that, consequently, by the side or in the stead of our modern science, the work of our eyes and hands—and also of our words—there might have been constituted, there may still be constituted, sciences entirely and extraordinarily new—auditory, olfactory, and gustatory sciences, and even others derived from other kinds of sensations which we can neither foresee nor conceive because they are not, for the moment, differentiated in us. Outside the matter we know, a very special matter fashioned of vision and touch, there may exist other matter with totally different properties. ...We must, by setting aside the mechanical theory, free ourselves from a too narrow conception of the constitution of matter. And this liberation will be to us a great advantage which we shall soon reap. We shall avoid the error of believing that mechanics is the only real thing and that all that cannot be explained by mechanics must be incomprehensible. We shall then gain more liberty of mind for understanding what the union of the soul with the body may be. When making the analysis of matter we impliedly admitted two propositions: first, that sensation is the tertium quid which is interposed between the excitant of our sensory nerves and ourselves; secondly, that the aggregate of our sensations is all we can know of the outer world, so that it is correct to define this last as the collection of our present, past, and possible sensations. Thoughts have some characteristics of fancy, of freedom, even of unreality, which are wanting to the prosaicness of heavy material things. Thoughts sport with the relations of time and space; they fly in a moment across the gulf between the most distant objects; they travel back up the course of time; they bring near to us events centuries away; they conceive objects which are unreal; they imagine combinations which upset all physical laws, and, further, these conceptions remain invisible to others as well as to ourselves. They are outside the grip of reality, and constitute a world which becomes, for any one with the smallest imagination, as great and as important as the world called real. One may call in evidence the poets, novelists, artists, and the dreamers of all kinds. When life becomes too hard for us, we fly to the ideal world, there to seek forgetfulness or compensation. Mind and matter brought down to the essential, to the consciousness and its object, form a natural whole, and the difficulty does not consist in uniting but in separating them. Alfred Binet (1909/1975). Modern ideas about children. Translated by Suzanne Heisler. Menlo Park, CA. Original Les idées modernes sur les enfants, Paris, E. Flammarion, 1909. "Never!" What a strong word! A few modern philosophers seem to lend their moral approval to these deplorable verdicts when they assert that an individual's intelligence is a fixed quantity, a quantity that cannot be increased. We must protest and react against this brutal pessimism. We shall attempt to prove that it is without foundation. Alfred Binet, & Théodore Simon (1916). The development of intelligence in children. Baltimore, Williams & Wilkins. Elizabeth S. Kite (trans). Reprinted 1973, New York: Arno Press; 1983. It seems to us that in intelligence there is a fundamental faculty, the alteration or the lack of which, is of the utmost importance for practical life. This faculty is judgment, otherwise called good sense, practical sense, initiative, the faculty of adapting one's self to circumstances. A person may be a moron or an imbecile if he is lacking in judgment; but with good judgment he can never be either. Indeed the rest of the intellectual faculties seem of little importance in comparison with judgment. This test thought out and proposed by Professor Ebbinghaus of Berlin, varies in significance according to its mode of use. It consists essentially in this: a word of a text is omitted and the subject is asked to replace it. The nature of the intellectual work by which the gap is filled, varies according to the case. This may be a test of memory, a test of style, or a test of judgment. In the sentence: ‘Louis IX was born in ——‘ the gap is filled by memory. ‘The crow —– his feathers with his beak’; in this the idea of the suppressed word is not at all obscure, and the task consists in finding the proper word. We may say in passing, that according to the opinion of several teachers before whom we have tried it, this kind of exercise furnishes excellent scholastic training. Lastly, in sentences of the nature of those we have chosen, the filling of the gaps requires an attentive examination and an appreciation of the facts set forth by the sentence. It is therefore an exercise of judgment. This page was last edited on 22 April 2019, at 20:21.